"Anyone that gets indicted by Bob Mueller goes down," the California Democrat said. 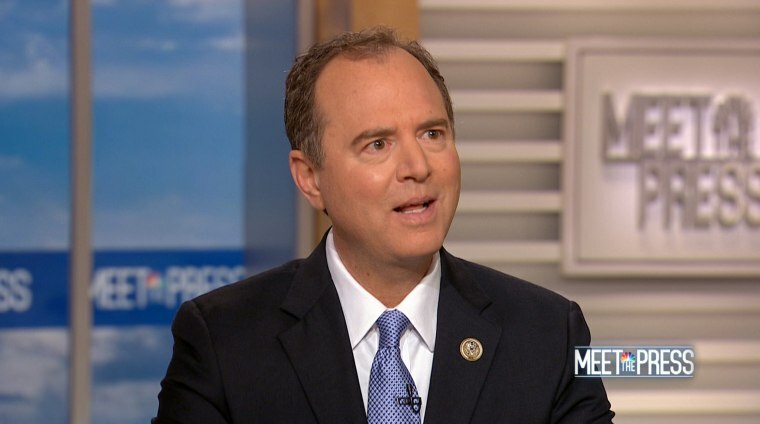 WASHINGTON — California Rep. Adam Schiff, the top Democrat on the House Intelligence Committee, said Sunday that former Trump campaign chairman Paul Manafort’s decision to cut a deal with special counsel Robert Mueller serves as a stark warning to other potential targets of the investigation into Russian efforts to interfere in the 2016 election. “The longer you wait to come clean, the worse deal you are going to get." Schiff called Manafort’s cooperation a pivotal development in Mueller’s investigation, one that could help investigators discover whether there’s evidence of collusion in President Donald Trump’s inner circle. He noted that Manafort is at the center of a handful of incidents relevant to Mueller’s investigation, including the 2016 meeting between Manafort and other top Trump campaign officials with a Russian-linked lawyer, as well as Manafort’s offer to privately brief a Russian billionaire on the election. “We want to know, what can Manafort tell us about whether any of that was consummated. He's trying to get money, they're trying to get dirt, the Russians are trying to help Trump. Was there a meeting of the minds?” Schiff asked. The former Trump campaign chair had already been facing serious jail time after last month's trial in Virginia, where he was found guilty on eight fraud counts. Staring down yet another trial in Washington D.C., the former Trump campaign chairman reached an agreement to instead plead guilty to two new counts and admit guilt in the 10 outstanding counts that the jury deadlocked on last month. And he argued that both Manafort and Trump misplayed the situation by acting “too late,” leading to that vulnerability. Trump’s attorney, Rudolph Giuliani, sought to distance Manafort’s deal from the president in a Friday statement that initially read: “Once again, an investigation has concluded with a plea having nothing to do with President Trump or the Trump campaign. The reason: The President did nothing wrong and Paul Manafort will tell the truth." Shortly after, the statement was amended to remove “and Paul Manafort will tell the truth,” with no additional statement from the legal team as to the change. A source familiar with the matter told NBC News an older version of the statement was initially sent out, and the president’s legal team believes Manafort will tell the truth.